A good, old fashioned fantasy book full of magic and mystery, every chapter of which I enjoyed and read non stop from page one and had a hard time putting down. The character building, world building and plot are wound together magically and beautifully, keeping the reader engaged from page one. 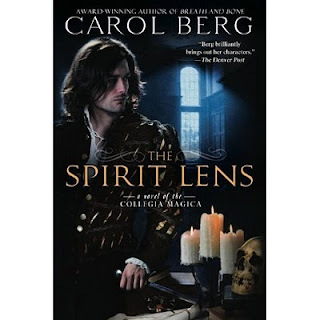 One thing when I am reading a book with a lot of dialogue is I like to read the conversations out loud and see if it's "realistic" (well, as realistic as in the language and back and forth, rather than the topic itself), and "The Spirit Lens" has hit the mark. The characters and plot were amazing and definitely kept me engrossed and I escaped in to the world of Sabria. Sounds like a great book, thanks for the review and the growing wish list.